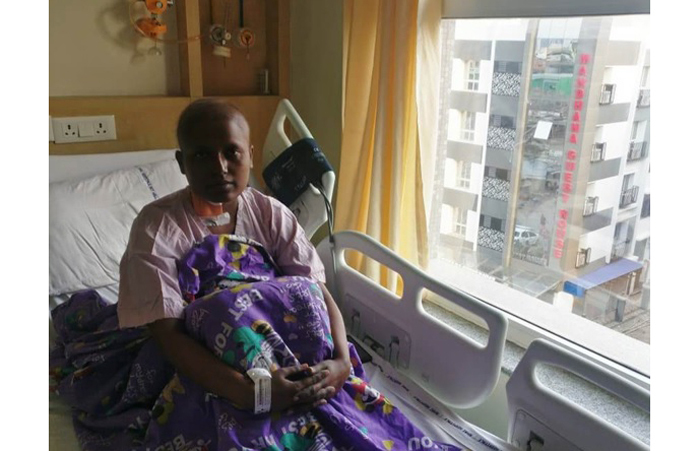 Kolkata: Twenty-seven-year-old Rima Begum, a resident of Chittagong, Bangladesh, was diagnosed with Leukemia (blood cancer)almost a year back. Rima had lost all hope to have her bone marrow transplant done, as advised by doctors in Bangladesh. Despite all odds, they began looking up for healthcare facilitators who could help them with the correct treatment. It was then that they came across GlobalMedin India Healthcare Private Company, which helps Bangladeshi citizens in getting healthcare facilities in India. “We immediately contacted the officials of MedInIndia, who were very approachable.When we told about our financial crisis, the partners of the company helped us avail the best medical treatment, logistics and medication. They not only raised funds to support my wife undergo the Bone Marrow Transplant but also guided us in the best possible way, right through the five months we spent in Kolkata,” mentioned Islam. Needless to say, Rima remains grateful to her saviors. “We have had to stay in Kolkata for five months for the complete treatment. The company, not just helped us get appointments, meet doctors, get tests done or get medicines at a discounted price. They even helped us rent an apartment, where we could stay for the stipulated period, as I recuperated after having successfully undergone Bone Marrow Transplant at AMRI,” said Rima, who is now back in Chittagong, hale and hearty.